Lewisville, TX-based electrical engineer Michael Hamilton has been a busy man. During the past 10 years, he created two companies: A&D Technologies, which supplies wireless temperature and humidity controllers, and Point & Track, which provides data-gathering apps and other business intelligence tools. And in his spare time, he designed a cloud electrofusion machine for welding 0.5″ to 2″ polyethylene fittings. It won Second Prize in the 2012 Renesas RL78 Green Energy Challenge. 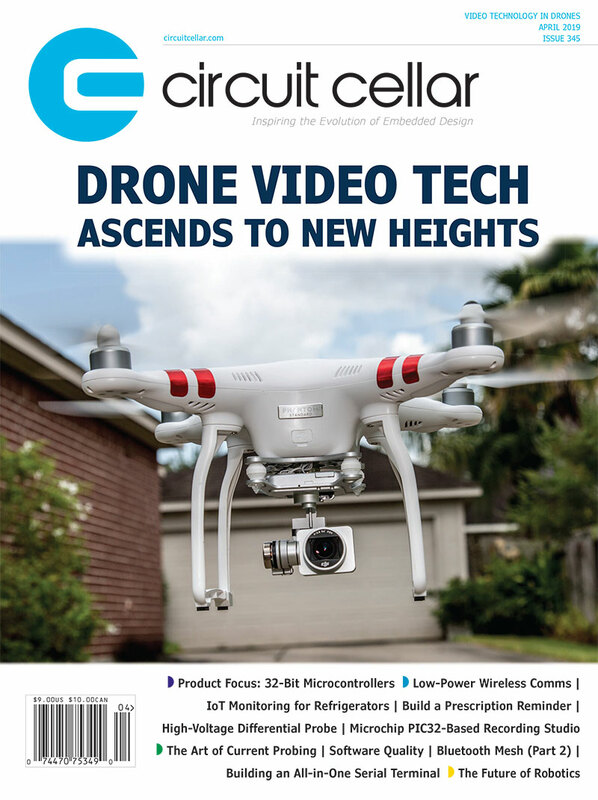 In an interview slated for publication in Circuit Cellar 273 (April 2013), Hamilton describes some of his projects, shares details about his first microcontroller design, and more. Michael Hamilton in his workspace. Check out the CNC machine and 3-D printer. I have a three-axis CNC machine and MakerBot 3-D printer. I use the CNC machine to cut out enclosures and the 3-D printer to create bezels for LCDs and also to create 3-D prototypes. These machines are extremely useful if you need to make any precise cuts or if you want to create 3-D models of future products. I recently purchased a Rigol Technologies DSA-815-TG spectrum analyzer. This device is a must-have, right behind the oscilloscope. It enables you to see all the noise/interference present in a PCB design and also test it for EMI issues. He has a completely separate area for PCB work. Overall, this is an excellent setup. Hamilton clearly has a nice collection must-have EE tools and test equipment, as well as a handy CNC machine and decent desktop storage system. The separate PCB bench is a great feature that helps keep the space orderly and clean. As for the 3-D printer, well, it’s awesome. 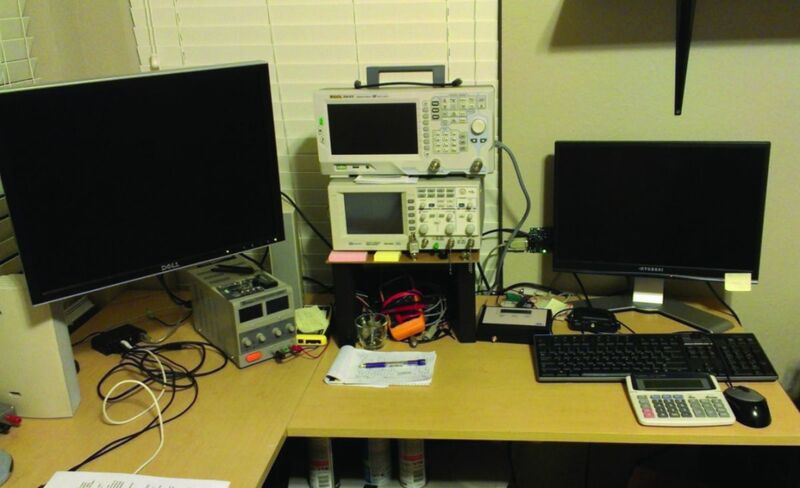 This entry was posted in Workspaces and tagged Renesas, RL78, tools, workspace by Circuit Cellar Staff.